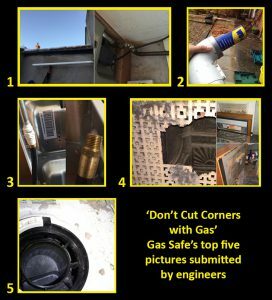 As Gas Safe Register’s successful ‘Don’t Cut Corners with Gas’ campaign draws to a close, the Register has chosen its top five photos that highlight the dangers of cutting corners when it comes to gas safety. 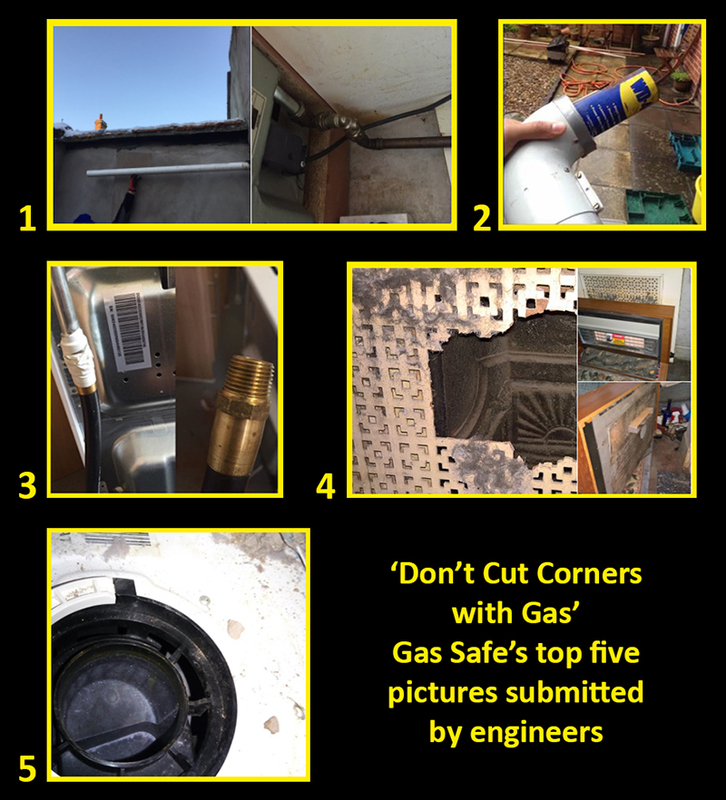 As part of the campaign, registered gas engineers were encouraged to post examples they had found of poor gas work where corners had been cut. To date, over 100 photos were shared over social media. The aim of Gas Safe Register’s campaign was to raise awareness among families of the importance of not cutting corners when it comes to their gas appliances, and why they should only use a Gas Safe registered engineer. A Gas Safe registered engineer found an open flue spilling products of combustion. The ‘Don’t Cut Corners with Gas’ campaign went live across various media channels, which included digital marketing, advertising billboards and radio ads on selected stations such as Absolute Radio and Smooth Radio. The national campaign also revealed the specific cities most at risk from unsafe gas appliances, as identified by Gas Safe Register’s Investigation’s Team. Household decision makers were targeted to educate them about appliance maintenance and the importance of only using a Gas Safe registered engineer to keep their gas appliances working safely and efficiently. These decision makers were targeted through partnerships with Netmums, Your Home and HomeStyle. Both HomeStyle and Your Home magazines hosted articles about the campaign, which encouraged first-time buyers and those already on the property ladder to ensure they only employ Gas Safe registered engineers. Both magazines found that their readerships became more aware of Gas Safe Register and its role following the partnership content going live across their websites, through a social media competition and in e-shot emails to their subscribers. Jonathan Samuel, chief executive at Gas Safe Register, said: “Ensuring gas appliances are working safely and efficiently should be a top priority for families and it is important that they are aware of the dangers of cutting corners, and the risks of using a tradesperson who is not Gas Safe registered. To view the ‘Don’t Cut Corners’ video on YouTube, click here.